Berkeley Sannai Maruyama Project – Located in Aomori Prefecture, northern Honshu, Japan, Sannai Maruyama is a large Early-Middle Jomon settlement site. From Summer 1997 to Summer 2008, the Berkeley team collected soil samples at this site for macro and micro faunal and floral remain analysis, organic residue analysis and provenience studies of pottery, and radiocarbon dating. The samplings were conducted in conjunction with the summer field school class of University of California (UC), Berkeley. The project were funded primarily by various internal grants of UC Berkeley, Sannai Maruyama Special Research Grant of the Government of Aomori Prefecture, and the institutional research grant from the Henry Luce Foundation, Understanding Lifeways and Biocultural Diversity in Prehistoric Japan. 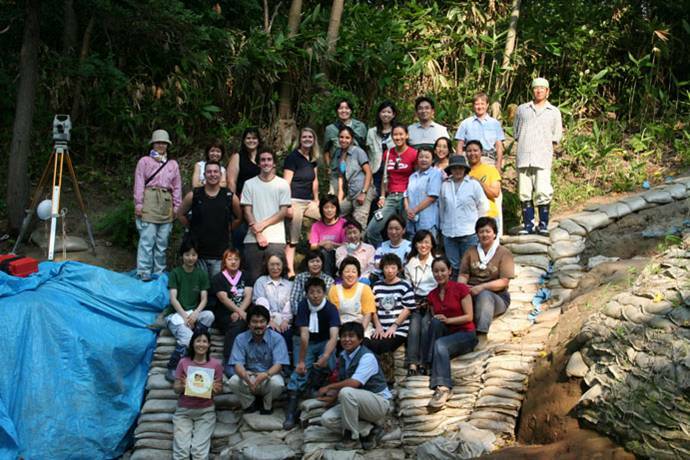 Goshizawa Matsumori Project – From Summer 2008 to 2010, Junko Habu and her students excavated the Goshizawa Matsumori No. 4 site, a small Early-Middle Jomon settlement site located approximately 20 km away from Sannai Maruyama. The primary goal of this excavation project was to examine intersite variability in lithic assemblage and paleobotanical data. The excavation was funded by the Understanding Lifeways and Biocultural Diversity in Prehistoric Japan, in conjunction with summer field school classes of UC Berkeley. Small-scale Economies Project – From Summer 2014 to Summer 2016, Junko Habu conducted a transdisciplinary research at the Research Institute for Humanity and Nature (RIHN), Kyoto. The goal of this project was to examine the importance of place-based, small-scale and diversified economies for the long-term sustainability of human societies on both sides of the North Pacific Rim. The core components of this project included 1) synthetic analysis of Early and Middle Jomon data from Sannai Maruyama, Goshizawa Matsumori No. 4 and its vicinity, 2) ethnographic works of rural communities and small-scale farmers in Iwate and Fukushima Prefectures, and 3) collaborative workshops with the Shiraoi Ainu Museum (Basket-Making Workshop in May 2015; see Tomakomai Newspaper) and Native tribes in California, including an Acorn processing workshop in January 2016.